My name is Kermit. I'm from LaPlace, Louisiana. The procedure I had done was I got some braces to get my teeth a little straighter. Since having my braces put on, I kind of forget that they're there sometimes until it's time to brush my teeth, and then I remember that I do have braces. Working with Dr. Block is wonderful. The staff treated me wonderful — really kind, really nice people. Always willing to work with me. If you wanted to get braces, I would tell you to go for it; it can only make you look better. 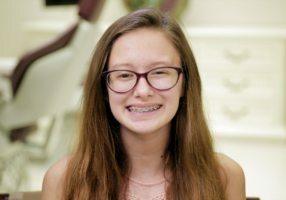 For my friends and family in the entire New Orleans area, I recommend that you come to Old Metairie Orthodontics and see Dr. Block.